2008 VIDEO CONTEST: Creative with a video camera? 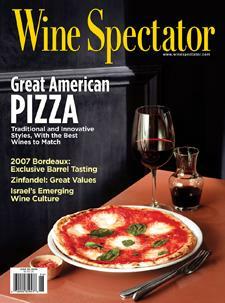 Submit your wine videos to Wine Spectator's second annual video contest and you could win great prizes. We are looking for short, original videos that are educational and entertaining. Our editors will select the best entries, and the finalists will be posted on WineSpectator.com, where viewers will vote to choose the winner. The deadline for entering is Aug. 18, 2008. Here are the complete rules and technical information, and last year's finalists. 2007 Bordeaux Barrels: Get an early look at the region's newest wines as senior editor James Suckling evaluates key barrel samples and shares his opinions. Israeli Wines Come of Age: Find out how Israeli wines have evolved from wines for religious holidays to wines worth drinking for their character. Managing editor Kim Marcus shares his discoveries from a recent visit to Israel's top wine regions. FATHER'S DAY Spoil dad with flavorful recipes and great wine matches that show him he's raised you with good taste. Or, take him out for a special meal at a restaurant with an award-winning wine list. Bonus Video Join a pair of dads, James Suckling and Piero Antinori, as they discuss the new generation of Antinori with Piero's three daughters, Albiera, Allegra and Alessia. SOUTHERN HEMISPHERE HARVEST REPORT Get an early look at the 2008 vintage in Australia, New Zealand, South Africa and South America. WINE CHALLENGE: We're putting your wine knowledge to the test with our fun, biweekly quiz. See how you do compared with our other readers. VALUE WINE FINDER: Browse our exclusive lists of the world's top wine values and top value producers. Find outstanding reds, whites and sweet wines for $30 and less, in regions from Alsace to Washington. VINTAGE CHARTS: We have more than 35 charts that are updated regularly with the latest vintages and our editors' scores and drinkability recommendations. You can also print out handy, wallet-size charts to bring to the store. TRADING POST: Get special wine offers—from great values to hard-to-find collectibles—from a select group of retailers. Offers for our members change frequently, so check in often for the best deals.